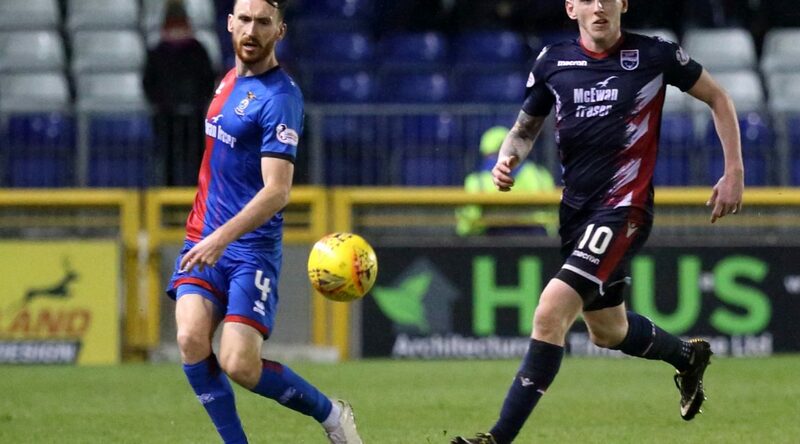 ICTFC finished the last Highland Derby with a feisty performance against Ross County. 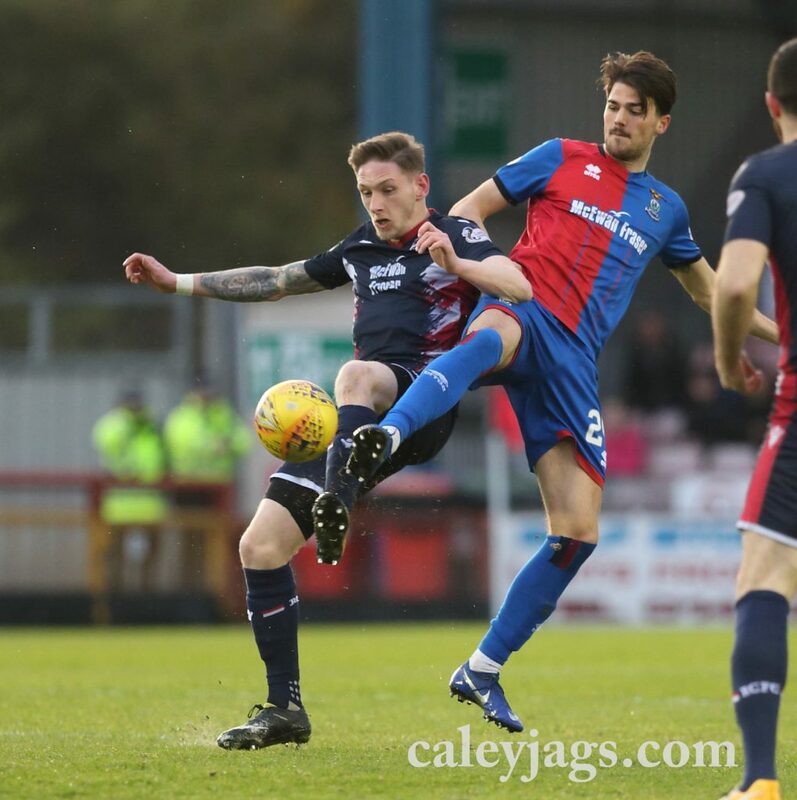 But two goals and two bookings in the first half against Charlie Trafford turned the tide against the Caley Jags, and Ross County left the Caledonian Stadium with the three points. 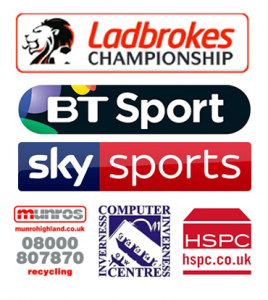 ICTFC still sit fourth in the play-off places in the Ladbrokes Scottish Championship. There has only been one 0-0 game this season between the teams, so it was expected that both would be looking to open the scoreline as soon as possible. Eight minutes into the game, the net was bulging. A flurry of corners six minutes led to the first big chance of the game for County – Danny Armstrong managed to cut back to Declan McManus, whose goalward shot was saved off of the line from Jamie McCart. The save off of the line was a warning, as immediately afterwards, Josh Mullin drilled an effort from the right-hand side that whistled along the ground and into the back of the net. It caught Ridgers off guard as he got down well but couldn’t reach it. Given confidence, Ross County pushed for a second, and when Jamie Lindsay passed to Stewart at the 15th minute, fans would’ve thought that his angled drive from a tight space had snuck into the side-netting, but it was the wrong side. 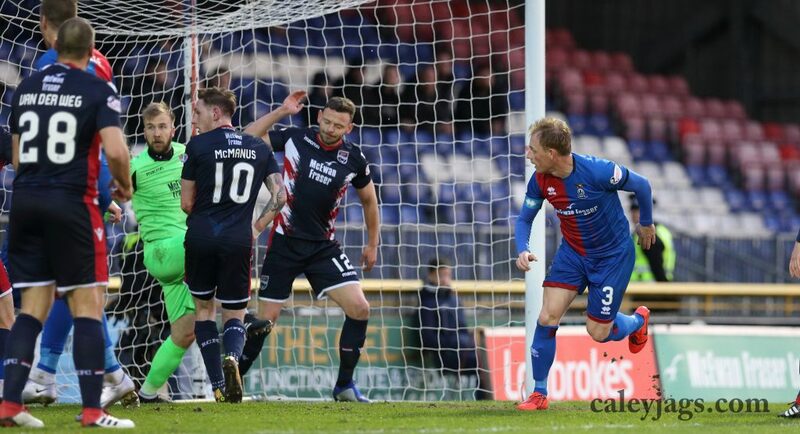 But ICTFC were the in-form team during the last six games, and the threat was palpable. At the 20th minute, Liam Polworth had a neat 1-2 with Walsh, who then looked up and found a gap to set-up Jordan White. Jordan stuck out a leg and managed to prod the ball away from Fox’s reach as he reached the six yard line and a penalty was given. White stood to take, but his effort wasn’t quite in the corner to beat Scott Fox. 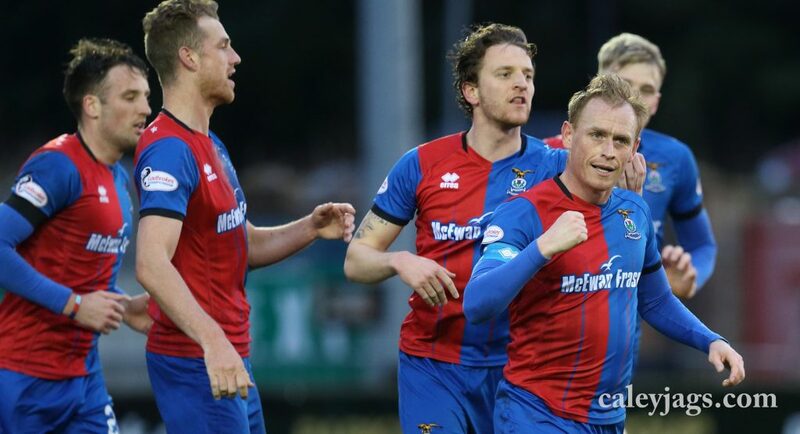 The Caley Jags wouldn’t let that dampen their mood, and they would soon get the equaliser. The ball was spread to Walsh from Joe Chalmers to the wings and it was smashed down the middle to White, but was it cut out by Andrew Boyle at the near post. Chalmers took the corner and it was knocked firmly back across goal by White and then finished off the underside of the crossbar by Tremarco from point blank range. All square, and it would stay the same until the 34th minute. 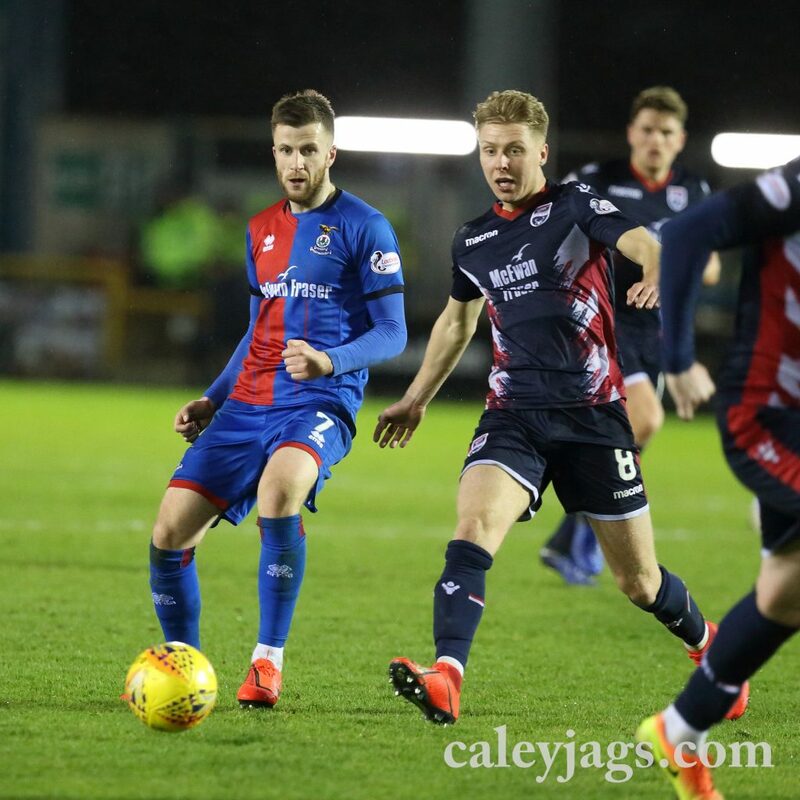 Ross Draper was heavily involved with some of Caley Thistle’s defence during the build up to a corner, but after freeing himself from his marker, he volleyed a loose ball into the ground and Boyle was at the back post to flick it into the roof of the net from almost the goal line. It was a close call from the linesman, but his goal was counted and ICT were again chasing another goal. Jamie McCart pinged a great crossfield pass to Tremarco, who then touched it across to Doran near the edge of the box. He let the ball bounce and then cut cross it, and it took a knick before finding the side netting of County’s goal. After previously receiving a booking for a challenge in the game, Charlie Trafford would receive his marching orders shortly before the break. Jamie Lindsay was trying to start a counterattack at pace, and Trafford attempted to stop it from developing. The Canadian stuck out a leg and seemed to have knicked a part of the ball, but it wasn’t enough for Nick Walsh, who after momentarily trying to keep players away, issued a red to Charlie. 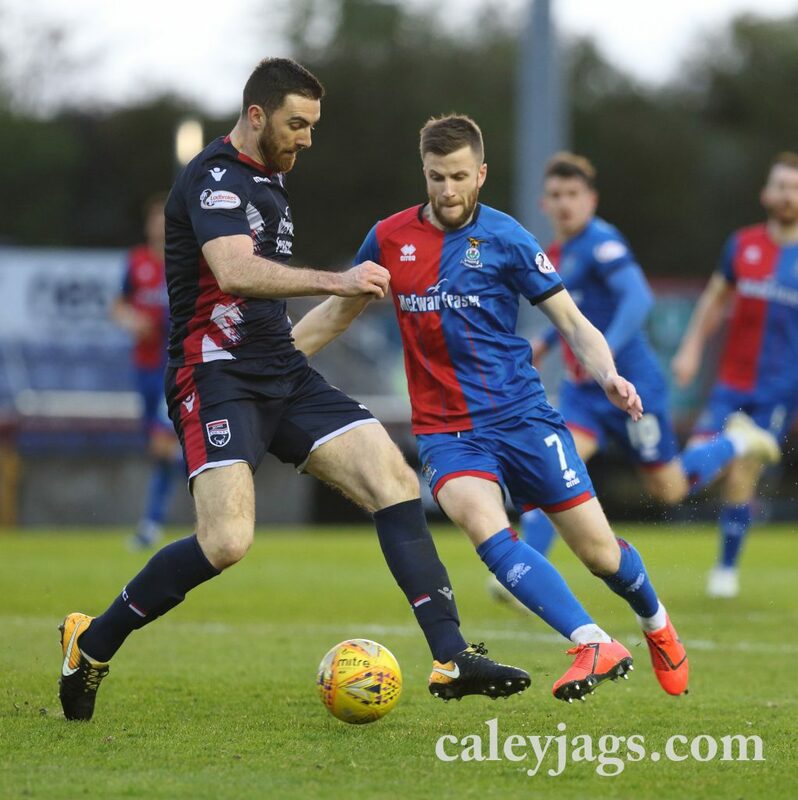 Former Caley Jags player Ross Draper was perhaps teetering on his second yellow shortly before that red card after a foul on Liam Polworth, and he was subbed at the break. The second half was slightly less action packed. Josh Mullin had a rapid break after the second half started on the right hand side. With two others to pick from he set up Armstrong who directed a shot on target. But the winger was offside, forcing Ridgers into a great but unneeded save. Liam Polworth’s whipped freekick at the 50th minute was flicked on by Brad McKay, but it was just off target for the centreback. A minute later at the other end, Jamie Lindsay came closer from a cross on the right hand side. Mullin’s pass made it to the midfielder, who directed the ball off of the bar from close, unlike Tremarco’s header, it eventually went out for a goal kick. ICTFC had some joy stretching the Ross County defence in quick counter attacks. Liam Polworth prodded the ball to Doran after a poor pass was intercepted. The irishman then pinged an excellent through ball to Walsh on the right-hand side, where there was acres of space. He had time to twist onto his right and attempt a curling effort, but it was just wide of the mark. This effort from Caley Thistle wasn’t enough, and Boyle’s close range header was what won the game. 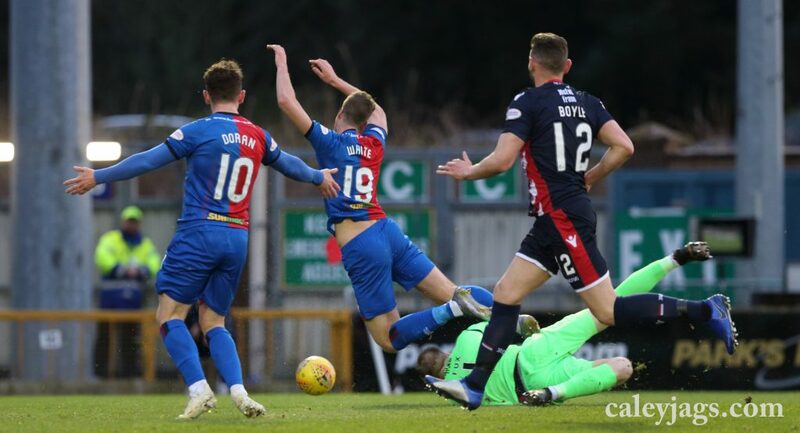 A handful of bookings from Caley Thistle was a clear sign of their frustration, but few chances could be created to test both keepers. 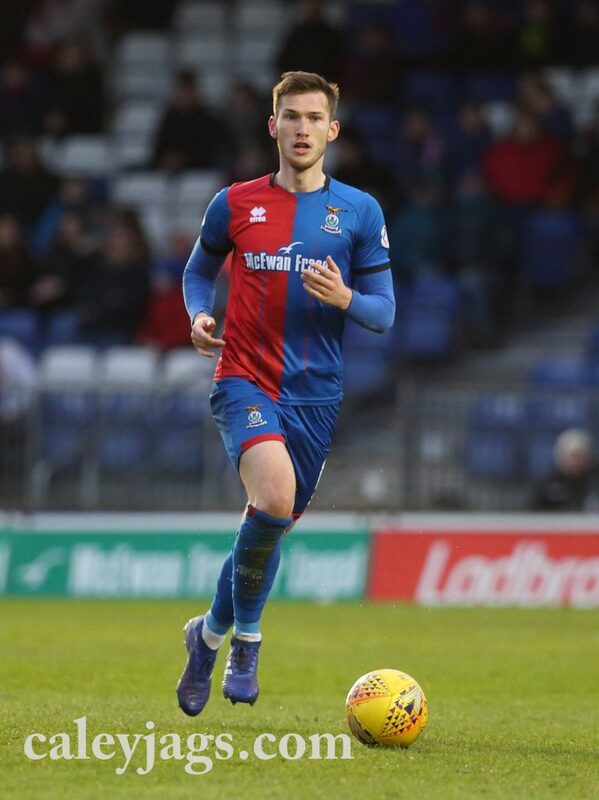 ICTFC: Ridgers, Mckay (Rooney 75′), Donaldson, McCart, Tremarco (McDonald 85′), Chalmers, Trafford, Polworth, Walsh (Austin 72′), Doran, White. Ross County: Fox, Fraser, Boyle, van Der Wegg, Kelly, Lindsay, Draper (Spence 46′), Mullin, Armstrong (Graham 71′), McManus, Stewart.